Genuine Collision Center provides the industry’s most trusted collision repair service, and that includes aluminum repair work. We proudly offer complete aluminum repair service to our customers. 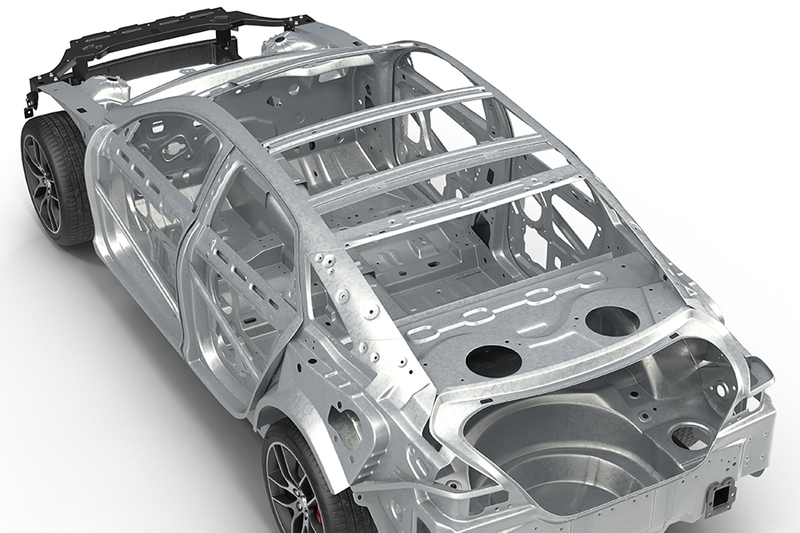 We spent years training our technicians and equipping our facilities in preparation for aluminum body repair. We’re proud to say that we are currently leading the way in high-quality aluminum repair work. We understand the significant differences between working on steel versus aluminum repairs. Sending your vehicle to a shop that doesn’t understand these distinctions may do more, if not irreparable, damage to your vehicle. That’s why we trained our employees to expertly mend aluminum and comprehend how it varies from steel. Our technicians recognize that aluminum doesn’t have the same moldable properties that steel does, nor does it respond to heat as well as steel does. Aluminum is also much stronger and weighs less than steel, allowing aluminum to be a great asset when a truck needs both towing capacities as well as better gas mileage. This is one of the key reasons aluminum requires more attentive care than steel does. 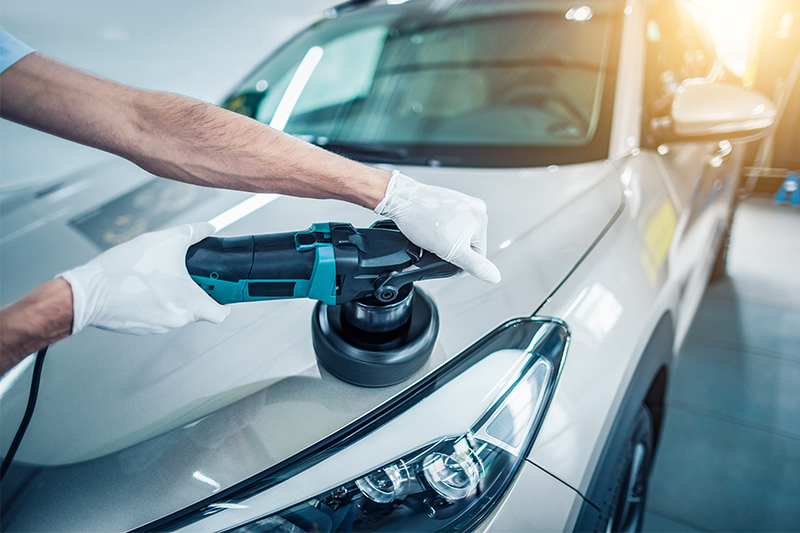 Genuine Collision Center Paintless dent repair (PDR), also known as paintless dent removal, describes a method of removing minor dents from the body of a motor vehicle. A wide range of damage can be repaired using PDR as long as the paint surface is intact. PDR may be used on both aluminum and steel panels. The most common practical use for PDR is the repair of hail damage, door dings, minor creases, large dents and body lines damage. The method can also be utilized to prepare a damaged panel for repainting by minimizing the use of body filler. 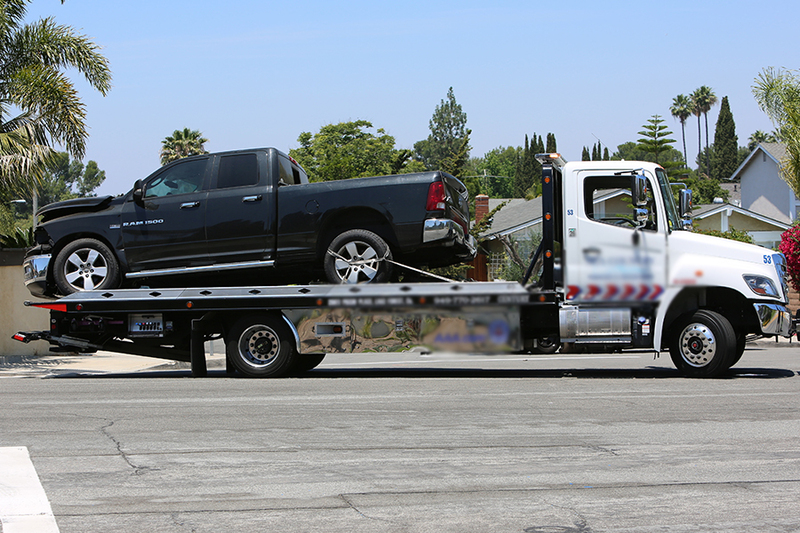 Every collision is unique and depending on the severity, the professionals at Genuine Collision Center can recommend the best course of action. Whether it’s paintless dent repair or traditional auto dent repair, our I-CAR GOLD Class certified body shop is equipped to get your car back to its pre-collision shape quickly. 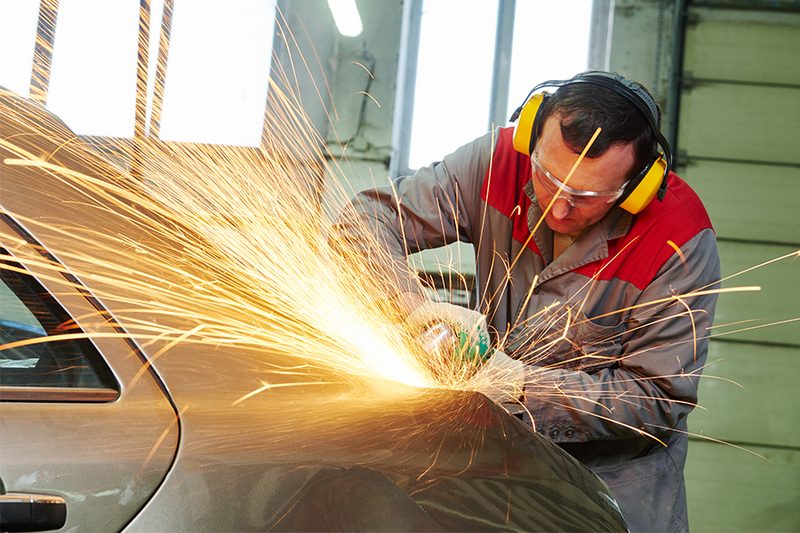 When a minor ding or dent ruin your car’s exterior, Genuine Collision Center can help. 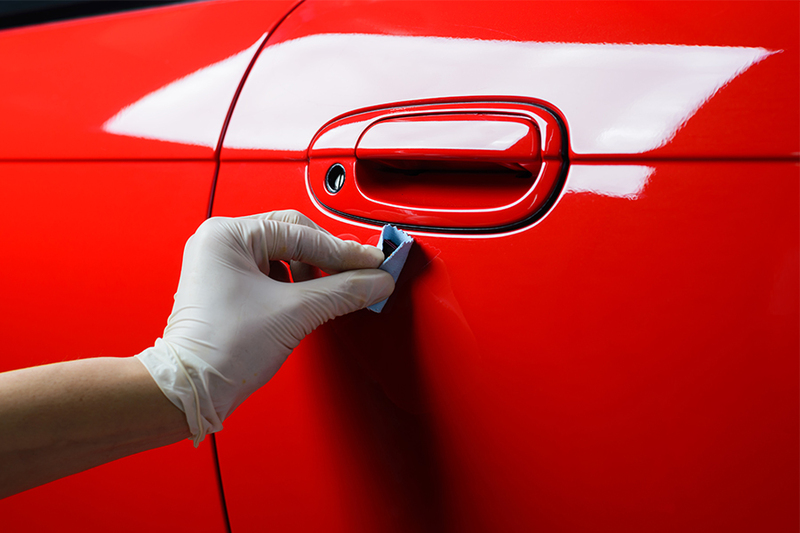 Our ASE Certified techs are experts in paintless dent repair, using the latest equipment and techniques. Whether the dent needs to be worked on from inside, or the dent needs to be drawn out using suction, we have what it takes to restore your vehicle to like new conditions. 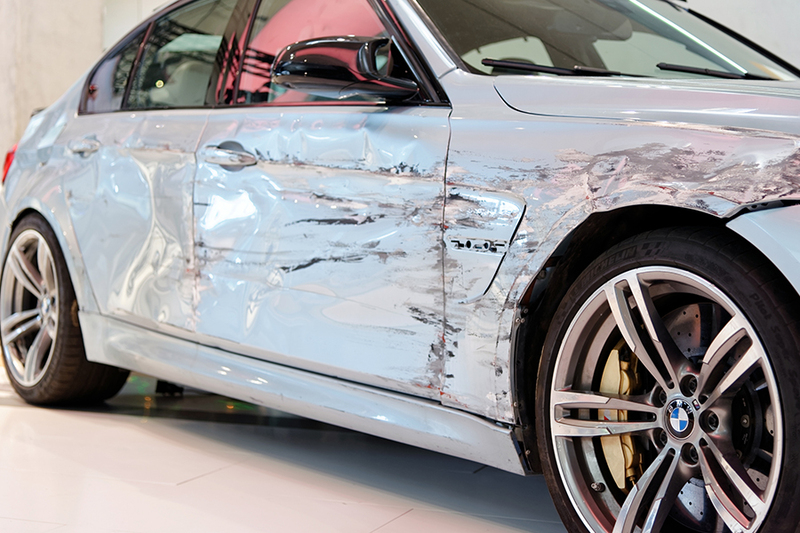 For more noticeable dents, Genuine Collision Center is Medford premier dent removal facility. Using state-of-the-art equipment, our technicians can fill or replace any dented area with new metal, and paint over for factory finish. Most anyone in the paint and body repair industry would agree that the final paint color match is an essential requirement for a successful repair and a satisfied customer. To obtain an excellent paint finish and color match, Genuine Collision Center utilize PPG’s Color Solutions Technology and automotive paint products. The PPG system provides the latest in color match information and technology to provide our paint technicians with the finest in materials, technology, equipment, and training to produce a best-in-class paint match and paint finish. At Genuine Collision Center, our frame straightening machine consists of a platform broad enough to hold a car, SUV or pickup truck, and two or three upright posts or towers that can be rotated 360-degrees and moved along the platform perimeter to work on different areas of a vehicle frame. 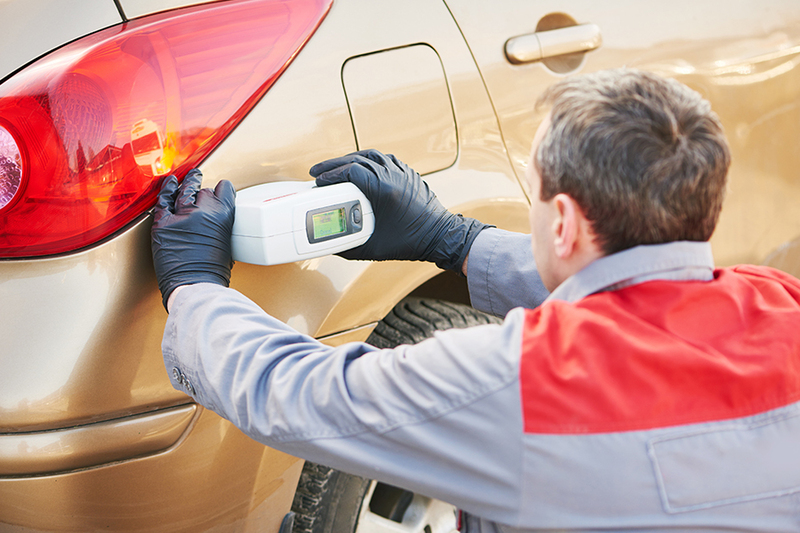 Our Most up to date machines use computerized line-of-sight lasers or sonic senders to assess a car’s frame and diagnose how much damage it has sustained. 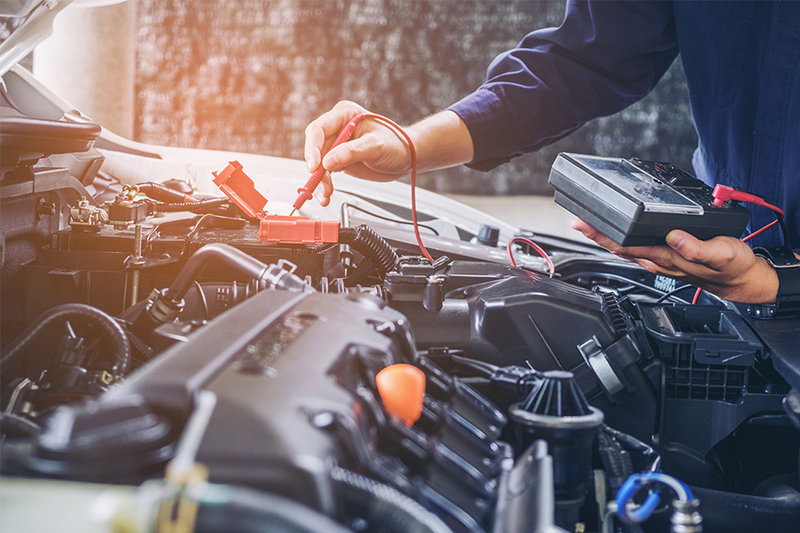 These diagnostics are used to determine whether the vehicle is repairable, and to provide an estimate of how long the repair should take, which is necessary to calculate the cost. This on-board measuring equipment is also used to ensure that a repair is performed accurately. Detailing is generally broken down into two categories: exterior and interior (or cabin). Some products and services focus on these two areas specifically. Exterior detailing involves cleaning, and either restoring or exceeding the original condition of the surface of the car’s finish (usually paint with a glossy finish), chrome trim, windows, wheels, and tires, as well as other visible components on a vehicle’s exterior. Interior detailing involves a deep cleaning of the whole interior cabin. Vehicle interiors of the last 50 years comprise a variety of materials, such as synthetic carpet upholstery, vinyl, leather, various natural fibers, carbon fiber composites, plastics, and others, which necessitates the use of a variety of cleaning techniques and products. Vacuuming is standard, and upholstery stains may be removed using steam cleaning, liquid and foam chemicals, as well as brushes. Additionally, some nonporous surfaces may be polished. You can count on Genuine Collision Center for regular maintenance and comprehensive repairs. Every mechanical repair is guaranteed. Lighthouse Point Collision Center technicians can handle all repair services. Regardless of what is wrong with your vehicle, you will receive a FREE maintenance inspection when you come in for services or repairs. 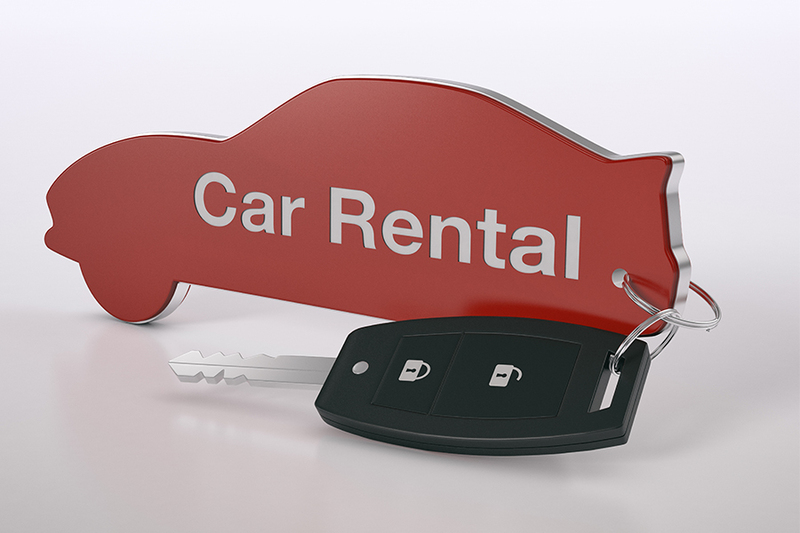 At Genuine Collision Center, we have our own in-house car rental. If you were recently in an accident and need a rental while you are waiting for your vehicle to get fixed? Don’t hesitate to call one of our account managers to handle your rental needs.